Bias Binding 1" (25mm)	There are 56 products. 1 * Bias Binding 1" (25mm) - Baby Blue. Sold by the metre. Bias tape is used in making piping, binding seams, finishing raw edges, etc. It is often used on the edges of quilts, placemats, and bibs, around armhole and neckline edges. 1 * Bias Binding 1" (25mm) - Baby Blue - 50m Roll Price. Bias tape is used in making piping, binding seams, finishing raw edges, etc. It is often used on the edges of quilts, placemats, and bibs, around armhole and neckline edges. 1 * Bias Binding 1" (25mm) - Baby Pink. Sold by the metre. Bias tape is used in making piping, binding seams, finishing raw edges, etc. It is often used on the edges of quilts, placemats, and bibs, around armhole and neckline edges. 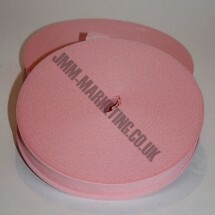 1 * Bias Binding 1" (25mm) - Baby Pink - 50m Roll Price. Bias tape is used in making piping, binding seams, finishing raw edges, etc. It is often used on the edges of quilts, placemats, and bibs, around armhole and neckline edges. 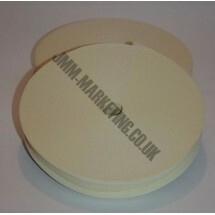 1 * Bias Binding 1" (25mm) - Beige. Sold by the metre. Bias tape is used in making piping, binding seams, finishing raw edges, etc. It is often used on the edges of quilts, placemats, and bibs, around armhole and neckline edges. 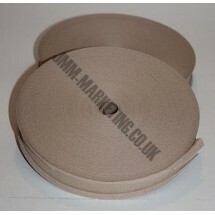 1 * Bias Binding 1" (25mm) - Beige - 50m Roll Price. Bias tape is used in making piping, binding seams, finishing raw edges, etc. It is often used on the edges of quilts, placemats, and bibs, around armhole and neckline edges. 1 metre of Bias Binding 1" (25mm) - Black. Bias tape is used in making piping, binding seams, finishing raw edges, etc. It is often used on the edges of quilts, placemats, and bibs, around armhole and neckline edges. 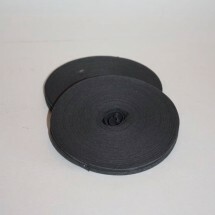 1 roll of Bias Binding 1" (25mm) - Black. 50m Roll. Bias tape is used in making piping, binding seams, finishing raw edges, etc. It is often used on the edges of quilts, placemats, and bibs, around armhole and neckline edges. 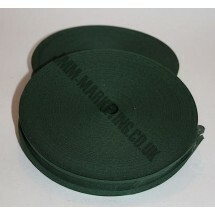 1 * Bias Binding 1" (25mm) - Bottle Green. Sold by the metre. Bias tape is used in making piping, binding seams, finishing raw edges, etc. It is often used on the edges of quilts, placemats, and bibs, around armhole and neckline edges. 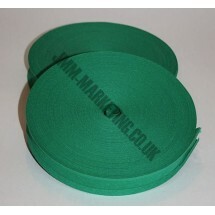 1 * Bias Binding 1" (25mm) - Bottle Green - 50m Roll Price. Bias tape is used in making piping, binding seams, finishing raw edges, etc. It is often used on the edges of quilts, placemats, and bibs, around armhole and neckline edges. 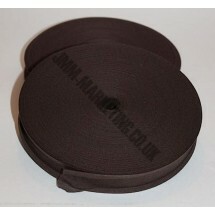 1 * Bias Binding 1" (25mm) - Brown. Sold by the metre. Bias tape is used in making piping, binding seams, finishing raw edges, etc. It is often used on the edges of quilts, placemats, and bibs, around armhole and neckline edges. 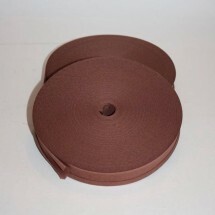 1 * Bias Binding 1" (25mm) - Brown - 50m Roll Price. Bias tape is used in making piping, binding seams, finishing raw edges, etc. It is often used on the edges of quilts, placemats, and bibs, around armhole and neckline edges. 1 * Bias Binding 1" (25mm) - Cerise. Sold by the metre. Bias tape is used in making piping, binding seams, finishing raw edges, etc. It is often used on the edges of quilts, placemats, and bibs, around armhole and neckline edges. 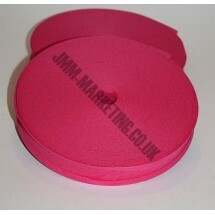 1 * Bias Binding 1" (25mm) - Cerise - 50m Roll Price. Bias tape is used in making piping, binding seams, finishing raw edges, etc. It is often used on the edges of quilts, placemats, and bibs, around armhole and neckline edges. 1 * Bias Binding 1" (25mm) - Cream. Sold by the metre. Bias tape is used in making piping, binding seams, finishing raw edges, etc. It is often used on the edges of quilts, placemats, and bibs, around armhole and neckline edges. 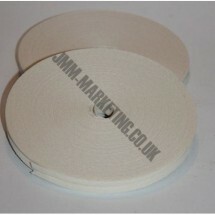 1 * Bias Binding 1" (25mm) - Cream - 50m Roll Price. Bias tape is used in making piping, binding seams, finishing raw edges, etc. It is often used on the edges of quilts, placemats, and bibs, around armhole and neckline edges. 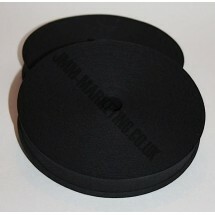 1 * Bias Binding 1" (25mm) - Dark Grey. Sold by the metre. Bias tape is used in making piping, binding seams, finishing raw edges, etc. It is often used on the edges of quilts, placemats, and bibs, around armhole and neckline edges. 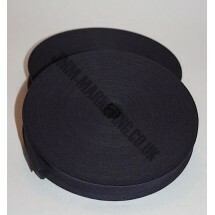 1 * Bias Binding 1" (25mm) - Dark Grey - 50m Roll Price. Bias tape is used in making piping, binding seams, finishing raw edges, etc. It is often used on the edges of quilts, placemats, and bibs, around armhole and neckline edges. 1 * Bias Binding 1" (25mm) - Emerald. Sold by the metre. Bias tape is used in making piping, binding seams, finishing raw edges, etc. It is often used on the edges of quilts, placemats, and bibs, around armhole and neckline edges. 1 * Bias Binding 1" (25mm) - Emerald - 50m Roll Price. Bias tape is used in making piping, binding seams, finishing raw edges, etc. It is often used on the edges of quilts, placemats, and bibs, around armhole and neckline edges. 1 * Bias Binding 1" (25mm) - Gold. Sold by the metre. Bias tape is used in making piping, binding seams, finishing raw edges, etc. It is often used on the edges of quilts, placemats, and bibs, around armhole and neckline edges. 1 * Bias Binding 1" (25mm) - Gold - 50m Roll Price. Bias tape is used in making piping, binding seams, finishing raw edges, etc. It is often used on the edges of quilts, placemats, and bibs, around armhole and neckline edges. 1 * Bias Binding 1" (25mm) - Ivory. Sold by the metre. Bias tape is used in making piping, binding seams, finishing raw edges, etc. It is often used on the edges of quilts, placemats, and bibs, around armhole and neckline edges. 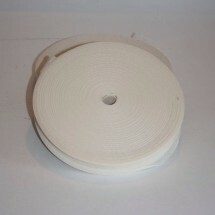 1 * Bias Binding 1" (25mm) - Ivory - 50m Roll Price. Bias tape is used in making piping, binding seams, finishing raw edges, etc. It is often used on the edges of quilts, placemats, and bibs, around armhole and neckline edges. 1 * Bias Binding 1" (25mm) - Light Brown. Sold by the metre. Bias tape is used in making piping, binding seams, finishing raw edges, etc. It is often used on the edges of quilts, placemats, and bibs, around armhole and neckline edges. 1 * Bias Binding 1" (25mm) - Light Brown - 50m Roll Price. Bias tape is used in making piping, binding seams, finishing raw edges, etc. It is often used on the edges of quilts, placemats, and bibs, around armhole and neckline edges. 1 * Bias Binding 1" (25mm) - Light Grey. Sold by the metre. Bias tape is used in making piping, binding seams, finishing raw edges, etc. It is often used on the edges of quilts, placemats, and bibs, around armhole and neckline edges. 1 * Bias Binding 1" (25mm) - Light Grey - 50m Roll Price. Bias tape is used in making piping, binding seams, finishing raw edges, etc. It is often used on the edges of quilts, placemats, and bibs, around armhole and neckline edges. 1 * Bias Binding 1" (25mm) - Light Turquoise. Sold by the metre. Bias tape is used in making piping, binding seams, finishing raw edges, etc. It is often used on the edges of quilts, placemats, and bibs, around armhole and neckline edges. 1 * Bias Binding 1" (25mm) - Light Turquoise - 50m Roll Price. Bias tape is used in making piping, binding seams, finishing raw edges, etc. It is often used on the edges of quilts, placemats, and bibs, around armhole and neckline edges. 1 * Bias Binding 1" (25mm) - Lilac. Sold by the metre. Bias tape is used in making piping, binding seams, finishing raw edges, etc. It is often used on the edges of quilts, placemats, and bibs, around armhole and neckline edges. 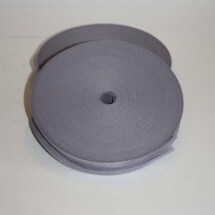 1 * Bias Binding 1" (25mm) - Lilac - 50m Roll Price. Bias tape is used in making piping, binding seams, finishing raw edges, etc. It is often used on the edges of quilts, placemats, and bibs, around armhole and neckline edges. 1 * Bias Binding 1" (25mm) - Navy. Sold by the metre. Bias tape is used in making piping, binding seams, finishing raw edges, etc. It is often used on the edges of quilts, placemats, and bibs, around armhole and neckline edges. 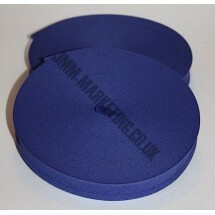 1 * Bias Binding 1" (25mm) - Navy - 50m Roll Price. Bias tape is used in making piping, binding seams, finishing raw edges, etc. It is often used on the edges of quilts, placemats, and bibs, around armhole and neckline edges. 1 * Bias Binding 1" (25mm) - Oatmeal. Sold by the metre. Bias tape is used in making piping, binding seams, finishing raw edges, etc. It is often used on the edges of quilts, placemats, and bibs, around armhole and neckline edges. 1 * Bias Binding 1" (25mm) - Oatmeal - 50m Roll Price. Bias tape is used in making piping, binding seams, finishing raw edges, etc. It is often used on the edges of quilts, placemats, and bibs, around armhole and neckline edges. 1 * Bias Binding 1" (25mm) - Olive. Sold by the metre. Bias tape is used in making piping, binding seams, finishing raw edges, etc. It is often used on the edges of quilts, placemats, and bibs, around armhole and neckline edges. 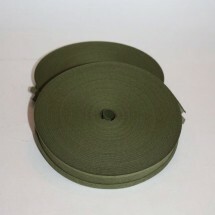 1 * Bias Binding 1" (25mm) - Olive - 50m Roll Price. Bias tape is used in making piping, binding seams, finishing raw edges, etc. It is often used on the edges of quilts, placemats, and bibs, around armhole and neckline edges. 1 * Bias Binding 1" (25mm) - Orange. Sold by the metre. Bias tape is used in making piping, binding seams, finishing raw edges, etc. It is often used on the edges of quilts, placemats, and bibs, around armhole and neckline edges. 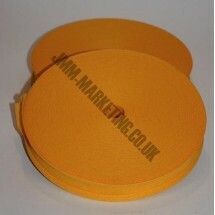 1 * Bias Binding 1" (25mm) - Orange - 50m Roll Price. Bias tape is used in making piping, binding seams, finishing raw edges, etc. It is often used on the edges of quilts, placemats, and bibs, around armhole and neckline edges. 1 * Bias Binding 1" (25mm) - Pale Yellow. Sold by the metre. Bias tape is used in making piping, binding seams, finishing raw edges, etc. It is often used on the edges of quilts, placemats, and bibs, around armhole and neckline edges. 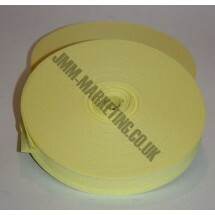 1 * Bias Binding 1" (25mm) - Pale Yellow - 50m Roll Price. Bias tape is used in making piping, binding seams, finishing raw edges, etc. It is often used on the edges of quilts, placemats, and bibs, around armhole and neckline edges. 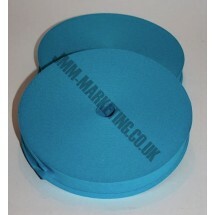 1 * Bias Binding 1" (25mm) - Powder Blue. Sold by the metre. Bias tape is used in making piping, binding seams, finishing raw edges, etc. It is often used on the edges of quilts, placemats, and bibs, around armhole and neckline edges. 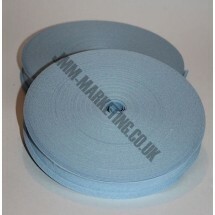 1 * Bias Binding 1" (25mm) - Powder Blue - 50m Roll Price. Bias tape is used in making piping, binding seams, finishing raw edges, etc. It is often used on the edges of quilts, placemats, and bibs, around armhole and neckline edges. 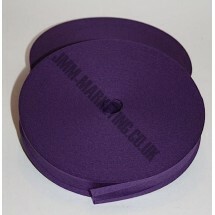 1 * Bias Binding 1" (25mm) - Purple. Sold by the metre. Bias tape is used in making piping, binding seams, finishing raw edges, etc. It is often used on the edges of quilts, placemats, and bibs, around armhole and neckline edges. 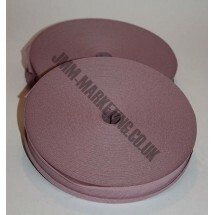 1 * Bias Binding 1" (25mm) - Purple - 50m Roll Price. Bias tape is used in making piping, binding seams, finishing raw edges, etc. It is often used on the edges of quilts, placemats, and bibs, around armhole and neckline edges. 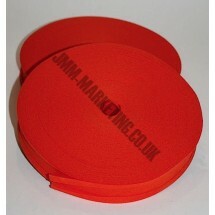 1 * Bias Binding 1" (25mm) - Red. Sold by the metre. Bias tape is used in making piping, binding seams, finishing raw edges, etc. It is often used on the edges of quilts, placemats, and bibs, around armhole and neckline edges. 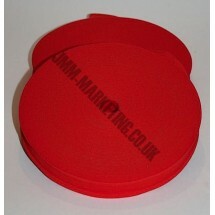 1 * Bias Binding 1" (25mm) - Red - 50m Roll Price. Bias tape is used in making piping, binding seams, finishing raw edges, etc. It is often used on the edges of quilts, placemats, and bibs, around armhole and neckline edges. 1 * Bias Binding 1" (25mm) - Royal Blue. Sold by the metre. Bias tape is used in making piping, binding seams, finishing raw edges, etc. It is often used on the edges of quilts, placemats, and bibs, around armhole and neckline edges. 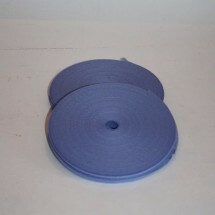 1 * Bias Binding 1" (25mm) - Royal Blue - 50m Roll Price. Bias tape is used in making piping, binding seams, finishing raw edges, etc. It is often used on the edges of quilts, placemats, and bibs, around armhole and neckline edges. 1 * Bias Binding 1" (25mm) - Turquoise. Sold by the metre. Bias tape is used in making piping, binding seams, finishing raw edges, etc. It is often used on the edges of quilts, placemats, and bibs, around armhole and neckline edges. 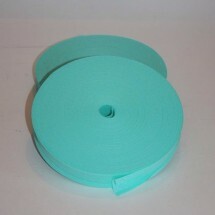 1 * Bias Binding 1" (25mm) - Turquoise - 50m Roll Price. Bias tape is used in making piping, binding seams, finishing raw edges, etc. It is often used on the edges of quilts, placemats, and bibs, around armhole and neckline edges. 1 * Bias Binding 1" (25mm) - White. Sold by the metre. Bias tape is used in making piping, binding seams, finishing raw edges, etc. It is often used on the edges of quilts, placemats, and bibs, around armhole and neckline edges. 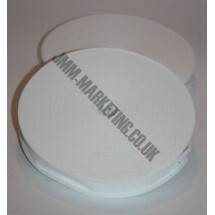 1 * Bias Binding 1" (25mm) - White - 50m Roll Price. Bias tape is used in making piping, binding seams, finishing raw edges, etc. It is often used on the edges of quilts, placemats, and bibs, around armhole and neckline edges. 1 * Bias Binding 1" (25mm) - Yellow. Sold by the metre. Bias tape is used in making piping, binding seams, finishing raw edges, etc. It is often used on the edges of quilts, placemats, and bibs, around armhole and neckline edges. 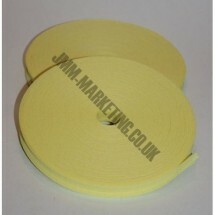 1 * Bias Binding 1" (25mm) - Yellow - 50m Roll Price. Bias tape is used in making piping, binding seams, finishing raw edges, etc. It is often used on the edges of quilts, placemats, and bibs, around armhole and neckline edges.